Here are quotes of China rapid prototyping parts from clients in July 2018. They are looking for SLA, PA, steel rapid prototypes. What rapid prototypes do you need? You are welcome to contact us! Quote: Hi, I would like to get a quote for a flexible PCB FSR integrated shoe-insole prototype. I'm only looking at a prototype with rough specifications for a working proof of concept. Thank you in advance! Quote: Hello, I hope you are doing well. I am writing to provide you with a 3D drawing of a prototype I would like to make. The main body of the item is rubber and will be made with an injection mold. Would you be capable of producing this? Hopefully your technicians can help with this. What would be the cost of making the mold? Once I choose the best prototype, what would be the per unit cost for different order quantities (100 pair, 1000 pair, 3000 pair, etc). Please let me know if you have any additional questions. Thank you again for your help! Quote: I need a ballpark idea of a transparent clear car with removable bodyshell, to demonstrate at exhibition key areas. Engine bay, cabin seats, dashboard. Car should be approximately 80cm long. When I have a range of costs depending on complexity I can make the budget for a Car modelling project. 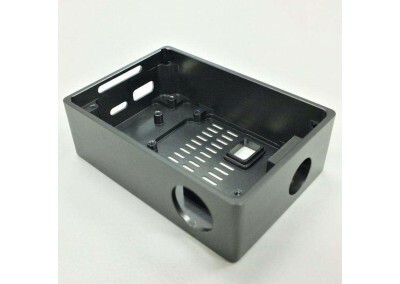 Founded by Rison Mould in 2008, Rison Prototype Co., Ltd is a leading China rapid prototyping manufacturer, aiming to offer high quality rapid prototypes to global customers for concept release and mechanical tests. Over the past 8 years, we have offered high quality products to more than 300 companies at home and abroad. You are welcome to contact us!